SUBIDA A LA CUERDA DE LOS PORRONES DESDE LA ERMITA DE SAN BLAS POR LA SENDA DE LAS CABRAS. CONTINUAR A LA CRUZ DEL MIERLO Y CANCHO PORRON. REGRESO POR EL SENDERO PR-16, COLLADO DE VALDEHALCONES A LA ERMITA. 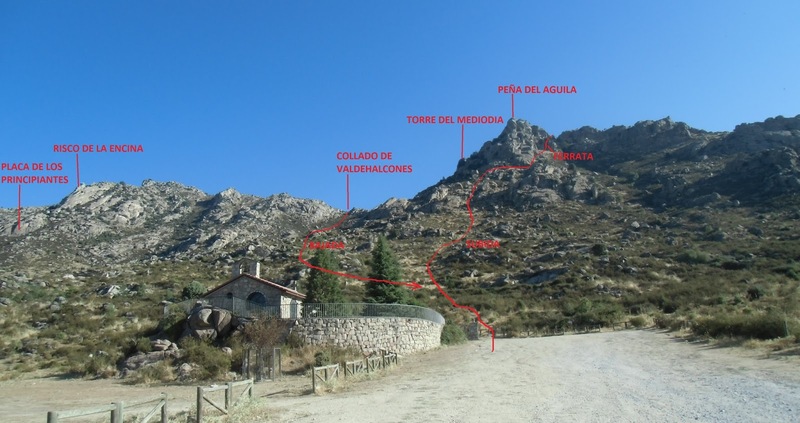 SE TRATA DE UNA MARCHA MUY GRATIFICANTE, POR UNA ZONA MUY POCO CONOCIDA DE LA MAGNIFICA SIERRA DE GUADARRAMA, CON UNAS ESPECTACULARES VISTAS Y QUE ADEMAS CUENTA CON EL UNICO TRAMO �FERRATA� DE TODA LA SIERRA Y ALREDEDORES, MUY DISFRUTON Y FACIL.